25 NovNew Dashboard Analytics is Out! We’ve just released a new VeriShow version, which includes a new Dashboard for usage data, graphs and reports. This version also provides the important WebRTC support for Firefox browsers. We have now released a new Dashboard to display usage data based on time period selected. The Dashboard is an improved replacement to the old ‘Account Activity’ tab and ‘Engagement Report’. It provides a clear view of data, new arrangement of links, ability to view graphs per selected data of interest, and download reports as CSV files. The purpose of the dashboard and added analytics data is to enable you to learn more about your customers interaction with the solution and with the agents, discover weaknesses and strength and monitor usage. 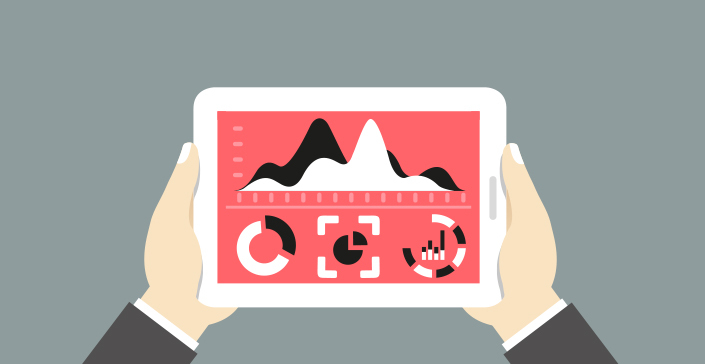 The analysis of the data will enable you to act on it in order to strengthen customer engagement and improve customer interaction flow. Information on visitors – general visitor info – unique visitor numbers, and page views. 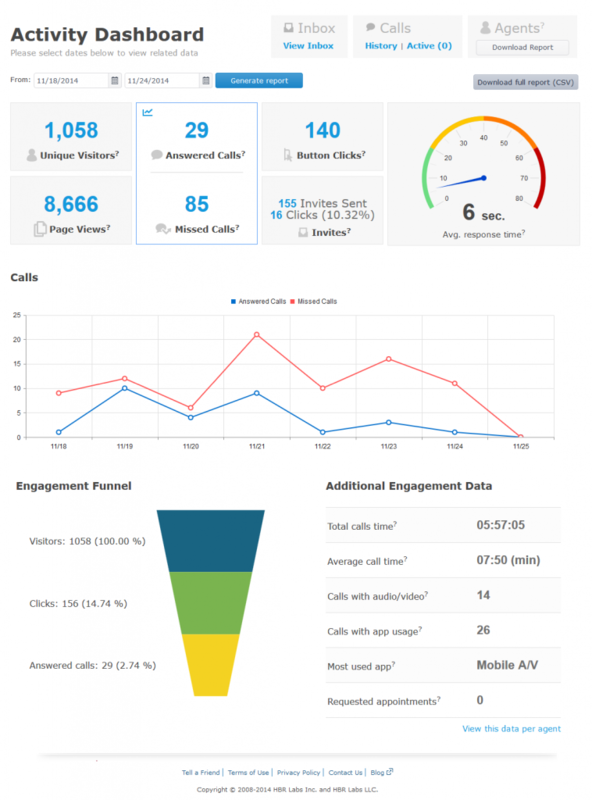 Interaction data – customer interaction data that includes for example button and invite click figures, number of calls and missed calls. Engagement funnel – shows the flow of engagement and where visitors drop in the process. Agent availability report – monitor agents’ online availability times (report download). Additional usage data – app usage, call times and other session-related data. Chat slowness issue – we have addressed a chat slowness issue that was reported by some users. Firefox WebRTC Support – the long awaited support for WebRTC has now been added to all accounts. All interactions using Chrome/Firefox (33+) will have high quality WebRTC audio/video chat enabled. Additional security measurements – following our recent major security-related enhancements, this release adds more security related improvements of the highest standard. If you have any questions or would like to learn more about the new Dashboard, please contact us.